NORBERT Torres set the tone for Rain or Shine in Game Two on Sunday night by waxing hot from the outside early on. The rest of the Elasto Painters followed suit. With Torres and Co. shooting the lights out at the Smart Araneta Coliseum, Rain or Shine walloped Magnolia, 93-80, to take a 2-0 lead in their PBA Philippine Cup semifinal series. 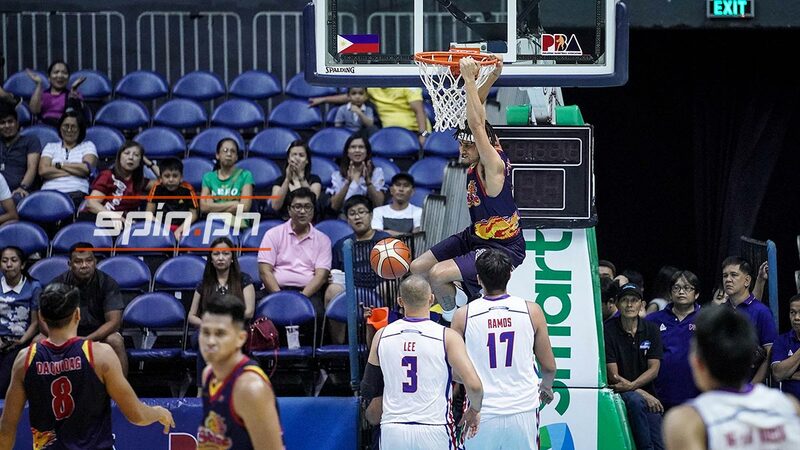 Getting major minutes in the absence of injured big man Raymond Almazan, Torres made the most of opportunity in this playoffs as he went 5-of-6 from the field including a perfect 4-of-4 from three-point range. He scored all but three of his 16 points in the first quarter, nine of them from downtown that allowed the Elasto Painters to take control for good. "We just started the game on fire. Norbert began hitting his shots, and that threw them off," said Rain or Shine coach Caloy Garcia. Torres’ hot shooting rubbed off on Ed Daquioag, who shot 3-of-5 from beyond the arc for a game-high 19 points. Rey Nambatac also delivered with 12 and Gabe Norwood with 10. In all, the Elasto Painters went 16-of-37 from three-point range for a high 43.2 percent shooting. Despite being active on offense, Garcia said the Elasto Painters’ defense, especially against the Hotshots’ deadly backcourt, spelled the difference in the win. Barroca, Melton, and Jalalon were held to a combined 4-of-21 from the field for a total output of nine points, while Lee finished with 12. Sophomore Robert Herndon topscored with 13 points for Magnolia, which trailed by as many as 84-59 early in the fourth. With the Hotshots down by 25, coach Chito Victolero opted to rest his starters for Game 3 set Tuesday.